Chapter 815 of the Florida Statutes covers a broad area of “hacker” related crimes which are mostly felonies. Hackers are individuals who have computer knowledge and modify computers, hardware, or code. Hacker related crimes include, but are not limited to, deleting important data, modifying trade secrets, installing viruses, installing malware/spyware onto a computer, stealing business secrets, and installing keystroke loggers which transmit data. It is extremely important that any individual being charged under this section finds a competent and experienced Computer Hacking Crime Lawyer because if the individual is convicted, not only does he face a potential prison sentence and fine, the defendant could have his computer forfeited from him, if it was used for the crime, and could be sued by the owner/lessee of the hacked computer for the damages and the cost of the victim’s attorney. Chapter 815 prohibits individuals from willfully, knowingly, and without permission modifying or destroying computer data, computer programs, or their supporting documentation inside or outside the victim’s computer. See Florida Statutes 815.04(1)-(2). This is a third-degree felony, punishable up to 5 years in prison and a $5,000 fine. If the defendant is hacking “for the purpose of devising or executing any scheme or artifice to defraud or to obtain any property,” then the hacker is guilty of a second-degree felony which is punishable up to a max of 15 years in prison and a $10,000 fine. (2) Destroyed or modified the data, computer program, or supporting documentation that was either inside or outside the computer. A possible defense to this charge is that the hacker did not modify or destroy anything but only added new data. See Garcia v. State. Another possible defense to this charge could be that the actions of the defendant (who was an employee) were an accident or the defendant was authorized to do the deletions or modifications because it was within the normal scope of employment. Chapter 815 prohibits anyone from willfully, knowingly, and without permission disclosing or taking trade secret data, programs, or supporting documentation. See Florida Statute 815.04(3)(b). Trade secrets can be formulas, compilations of data, patterns, blueprints, devices, which are for business or being used in business and give the business an advantage over other businesses. See Florida Statute 812.081(c). For example, Coca Cola’s secret soda recipe. (2) Disclosed or took trade secret data, programs, or supporting documentation. Chapter 815 prohibits anyone from willfully, knowingly, and without authorization from accessing, disrupting, denying use, destroying, injuring, or introducing a virus/malware on a computer, computer system, or computer network. See Florida Statute 815.06(1). This crime is a third-degree felony and defendants could be sentenced to 5 years in prison and be fined up to $5,000 or worse if the defendant has done this before. Introduced a virus, malware, or worms onto any computer or its system or network. The defendant can be charged with a second-degree felony if the hacking above resulted in more than $5,000 in computer damage, was done for the purpose of defrauding or obtaining property, or interrupts/ impairs governmental operation, transportation, water, gas, or other public service. If the hacking results in the endangerment of human life, the defendant can be charged with a first-degree felony. Chapter 815 prohibits anyone from willfully, knowingly, and without authorization modifying equipment or supplies that are used or intended to be used in a computer, computer system, or computer network. See Florida Statute 815.06(3). This is a first-degree misdemeanor which means that a defendant could be sentenced up to 1 year in jail and fined $1,000. (2) The defendant modified equipment or supplies that are used in computers. 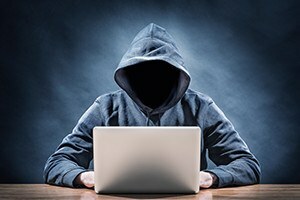 If you have been arrested and charged with any hacking crime, contact one of our Boca Raton Computer Hacking Crime Lawyers so that we can help you in presenting an aggressive defense.